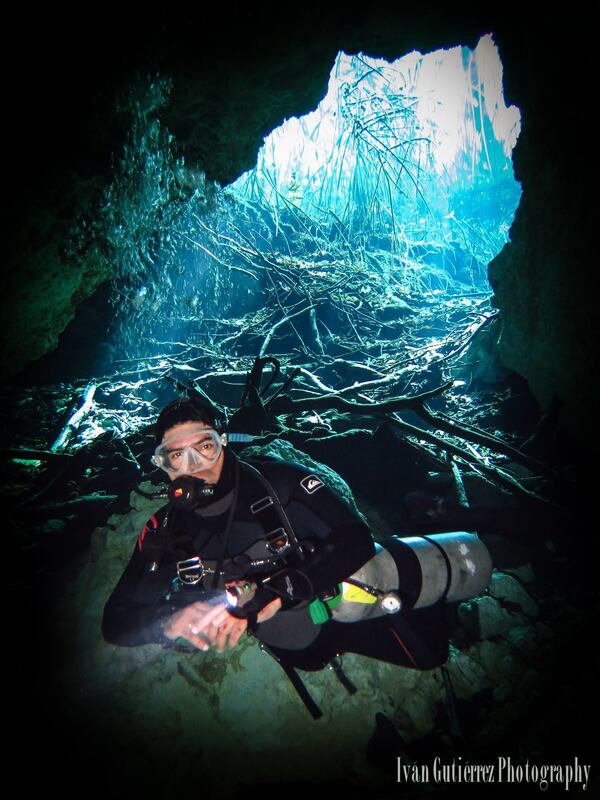 Diving in cenotes an experience fully! 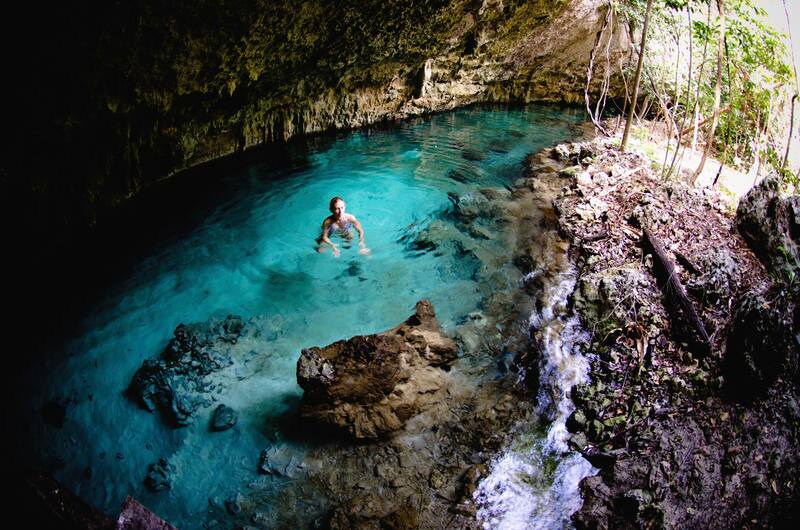 We already offer swimming in the cenote in many excursions because these freshwater wells in the forest are simply amazing! All different and very numerous in the area, they are a feature of the Yucatan. They are the entrance to real underground rivers, and huge areas of crystal clear water, the water temperature is all the year at about 24/25 degrees and incredible clarity! Whether snorkeling (PMT) or scuba diving, visiting the cenotes is a must. If you have a level of diving, do not miss this unique experience to float between stalactites and stalagmites, the colors are really amazing. 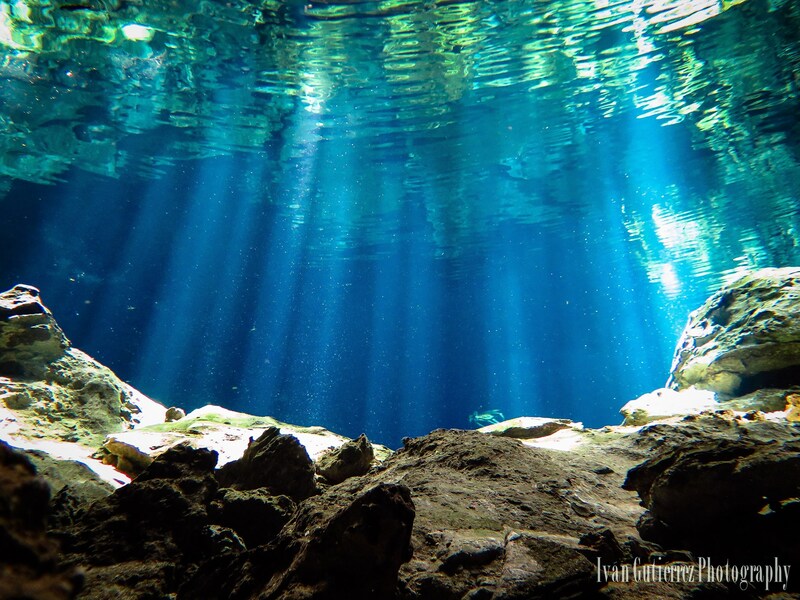 In some cenotes you can see fresh water and then just a few meters down, you will find salt water with the two areas separated by a cloudy area, called “halocline”and with a different temperature called thermocline. 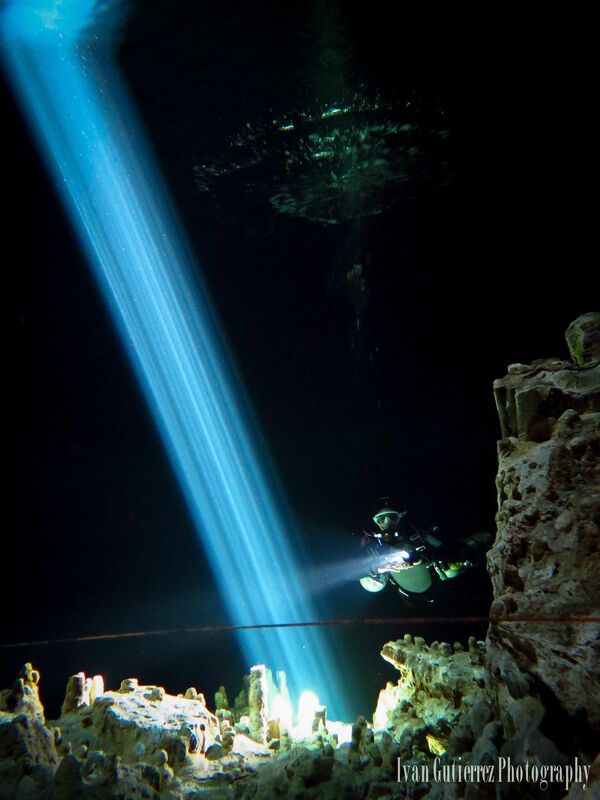 Level 1 divers can participate in this dive- there are cenotes suited to each diver. The start of our day will be at 8:00 a.m. from our partner center in Playa del Carmen, then we will go to the forest to one of the many freshwater wells. We will do 2 dives at 45 minutes each and we will have time to have a drink and snack before returning to the center at 2:00 p.m.
We will provide a combination of 5 mm (water is a little cooler than at sea), mask, classic regulator, BCD and classic lamp. Price is $150 USD per a person. (110 €) departure from Playa del Carmen, all inclusive, and the rental of the material offered. If you are north or south of Playa del Carmen, count on extra time to visit Playa. If you want to get to know more, please contact us. A professional diving center and Paseo Tours partner will help to prepare you for that particular dive.